CHART started an exciting new project in 2013: the creation of a central resource for the most effective training ideas and strategies used by its member companies. This member benefit collection features solutions that have helped deliver training more efficiently, allowed trainers to better achieve their teaching objectives, and improved the overall performance of employees who participate in training programs. CHART members can download the eBook of award-winning ideas for each year in the Trainers Toolbox tab of the Member site. 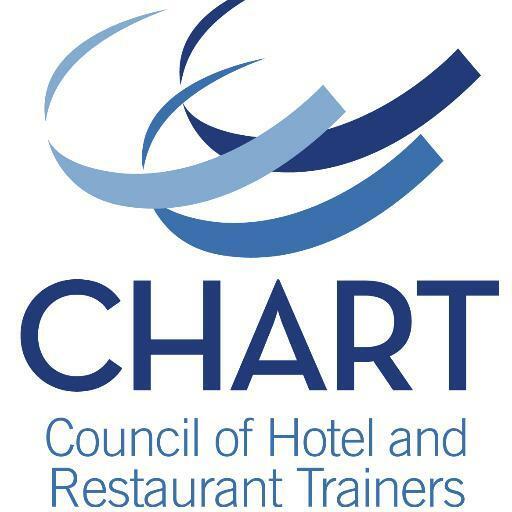 To gather these ideas, CHART launched a recognition program called the “Training High-Five.” The CHART Board members review all of the ideas submitted between each year and then rate them based on such criteria as originality, impact, and relevance to other businesses. A representative from each of the five companies whose ideas are selected as the “Training High-Five” will be invited up on stage at our summer conference not only to be recognized for their idea, but also to deliver a quick presentation on how it changed their workplaces for the better. So if you have a training solution that has really worked for you, demonstrate our guiding principles of Learning, Sharing, Growing, and Caring and send it in to CHART for the betterment of everyone in the organization. It doesn’t matter if it’s a simple training game or a complex rollout strategy, as long as it moved the needle in some way back at your company and isn’t proprietary, then we would love to hear about it. You can submit ideas to tara@chart.org. Ideas can be submitted by simply sending in an email, including attachments if it will help better illustrate your idea and its impact, or you can Download High Five Submission Form if that helps you format your submission. All of the ideas submitted will ultimately become part of our collection of strategies for CHART members. The five winners will be contacted by late June each year. Hospitality Storybook: "How do we train hospitality?" FitBit Fitness: Less Talk … More Do!